Previously known as the ProdigyW, the Faction Prodigy 2.0X is the sister ski to Faction’s Prodigy 2.0. The Prodigy 2.0X has been updated for 18/19 with more (longer!) sizes, as well as a minor change in shape. Formerly 126 - 96 - 117, Faction has brought the tip width in just a little to match up with the men’s 2.0. For the upcoming season, Faction has put a focus back to their women’s line by introducing the ‘X’ series - featuring the same ski construction, and same materials as the regular Prodigy line, but new emphasis (think the men’s skis, but for ladies). After skiing primarily on 100+cm skis all season, I was stoked to get my hand on a pair of Prodigy 2.0Xs last winter for some end of season fun. The Prodigy 2.0/2.0x have a full poplar/beech core that gives you a fairly-light, durable, and snappy ride. They lie in that 95-105cm range, where you often find skis like these that are designed as a freestyle-oriented all mountain ski. The Prodigy 2.0x is a directional twin tip, with a 96mm waist, a 1760g stated weight at 178cm, and a fairly small turning radius for an all-mountain ski (15M @164). In contrast to the 17/18 ProdigyW, Faction has made both the tip and tail slightly wider and added 30mm more tail rocker. It has a full sidewall construction covering over half of the ski, while slightly tapering towards the tips and tails, which are capped. Faction rated their flex as a 6/10, which I would say is accurate. The ski is definitely made to ride all-mountain, but I wouldn’t put it in the ‘stiff’ category by any means. When compared to similar women's skis I’ve tested such as the ON3P Jessie or Coalition SOS, the Prodigy 2.0x definitely has a softer flex and overall less aggressive feel. With Jackson Hole Mountain Resort as my home mountain, I was really able to put these guys through the wringer. To start with the basics, they do their best work on piste. While they don’t necessarily excel on ice, they can hold an edge, and do even better on pretty much anything a bit softer. On smooth terrain, they are stable to high speeds without getting chattery, but I wouldn’t feel comfortable charging full speed through chunder. Which honestly, with a softer flex like the 2.0x's have, shouldn't come at too much of a surprise. 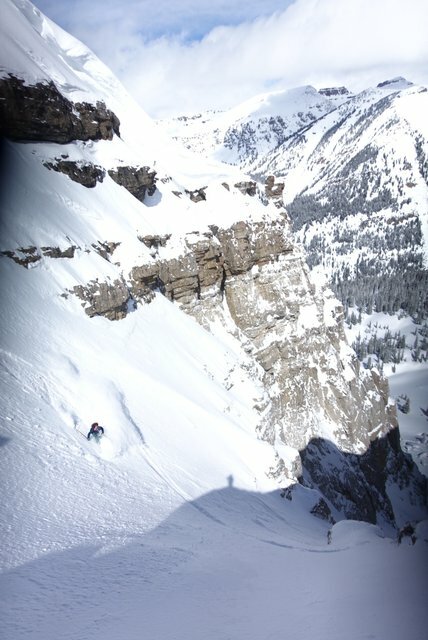 Beyond that, I’ve skied pretty much every condition in them- steep couloirs, open faces with powder, spring slush, and icy moguls. They’re stable and ski well in wide open, smooth zones where arcing large turns is your friend. In tree zones I found difficulty navigating tighter spaces, which surprised me a bit as they have a smaller turning radius. I was able to take them out in about 6" of fresh snow, and while they're no replacement for a wide-waisted powder ski (and shouldn't be), they handled the new snow well and were actually really fun. In more mixed conditions, it was a bit of a coin toss. The playfulness of the Prodigy 2.0x really comes out when the snow gets soft. 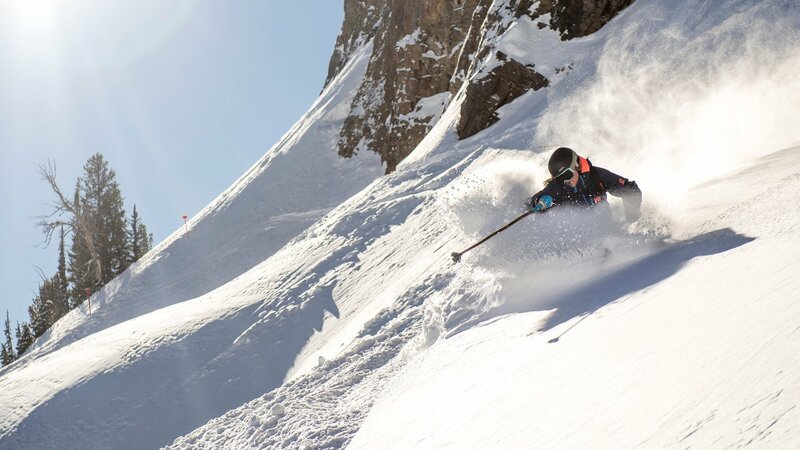 They have no issues pushing around variable soft snow, and make an excellent spring ski. On the contrary, variable ice, death balls, and overall inconsistent snow didn't pan out as well. I mentioned earlier that they have a softer flex than comparable all-mountain skis like the ON3P Jessie 96 and Coalition SOS, and variable conditions are where I felt the downfall of the softness the most. When it comes to flex underfoot, the 2.0x has a soft feel rather than a tough flex that is going to do well charging through beat up snow. However, unlike the Jessie and SOS, the softness of the Prodigy 2.0x makes way for a much more playful and jibby ski. They’re poppy and extremely fun on side hits and natural features around the mountain. While I definitely lean preference to stiffer skis, it was really enjoyable to actually be able to flex a pair of skis and feel a response when hitting features. Twig here, weighing in on this aspect of the Prodigy 2.0 because Erica has escaped the Mid-West and is no longer a park rat and therefore didn’t have the opportunity to get these into the park. I haven’t skied these long enough to do a full Roofbox Review on them myself but I’ve had a couple of days total skiing on them across two ski tests and a borrowed pair, entirely in the park/on groomers. I actually really enjoyed them for most aspects of jibbing around. They are poppy, energetic and quick thanks to the tapered shape and rocker profile. All-mountain jib wise they are a lot of fun, easy to butter thanks to generous rocker and a softish flex with a tip profile that really helps avoid ever getting caught up when buttering/playing. There’s just enough stiffness that you rarely wash through them, even buttering at high speeds, though at high speed they can start to feel a bit sketchy more generally. In the park, the swingweight is notably low, lower than the ARV 96, Poacher etc… in fact than any other ski I can think of in the bracket. The last pair I skied were mounted at true center and they are probably the lightest ski in the air I’ve tried in some time. In fact, the skis feel super light overall, which can be both a blessing and a curse. They are, as mentioned very easy to whip around, both on rails and on jumps but I actually like something with a little more weight under me because it gives me more confidence. One major reason for the lighter weight and swingweight is thin edges. This has been an issue with Factions before, and while they’ve switched it up to wider edges for the Prodigy 1.0 the durability still wasn't as good as some. These have the traditional skinny Faction edge, which doesn’t hold up that well in my experience. With a stable and deep snowpack in Jackson Hole, I didn’t encounter a lot of rocks or stumps that really gave the durability a test. Besides a few scuffs on the bottom, the bases and edges are still in prime shape and could easily get a few seasons out of the type of riding I have been doing. [Editor’s note: Twig] The Prodigy 2.0s have been a super popular ski with both team riders and friends of mine, so I’ve spent time on/around quite a few different pairs, some of which were last years model (which featured a different rocker profile but near identical construction otherwise). Unfortunately, I've seen issues with either delamination underfoot or edge pullouts between weeks 1 and 3 on most of these skis. They were largely skied by people I know to be hard on skis and purely in the park, but at the same time, this was well below average durability. I feel a bit uncomfortable speculating on this having not ridden a pair for a full test myself, and thus can’t comment directly on how they stack up compared to the other skis I've tried over a Roofbox testing period, but I have seen too many issues not to comment on it at all. So while these held up fine for all mountain, my instinct would be to steer away from these if you are hard on your skis in the park. I consider myself to be an aggressive skier, and just found that it wasn't enough to ski for my riding style. I *really* wanted to like it and had a blast in the spring taking some park laps through the jump line and ripping through slush, but on the rest of the mountain, it just didn't work for me. 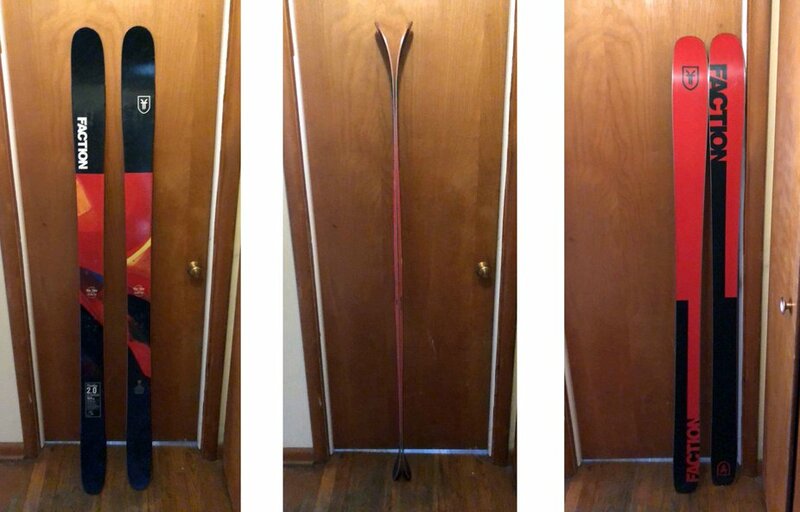 In the end, I think I was really looking for a jibable big mountain ski, but what I got was a softish all-mountain ski. If the ski was any stiffer it would be an entirely different ski (ie. less playful), and although I skied some bigger lines and it held up, it doesn't have the sturdy characteristics you want when you're depending on your equipment to get you down certain lines. The Prodigy 2.0x is the ski for the intermediate rider with a playful style who is looking to have fun all over the mountain. If you're jumping in and out of the park, and looking for a ski that is flexible, shreds groomers, and can pop off of natural hits then the 2.0x is the ski for you. As Twig noted, it’s not the most durable of park skis, so probably not the best option as your go-to park ski if you're hard on skis.